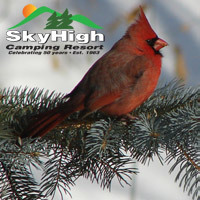 Located 80 miles from UP, 75 miles from Ladysmith and 3 hours from Madison. Tomahawk: At the Crossroads of WI Northwoods – from the So. – US Hwy 51/39 N to Ext. #234 W onto Hwy 8, turn Left onto Wolff Rd, approx. 1/4 mile to campsite.